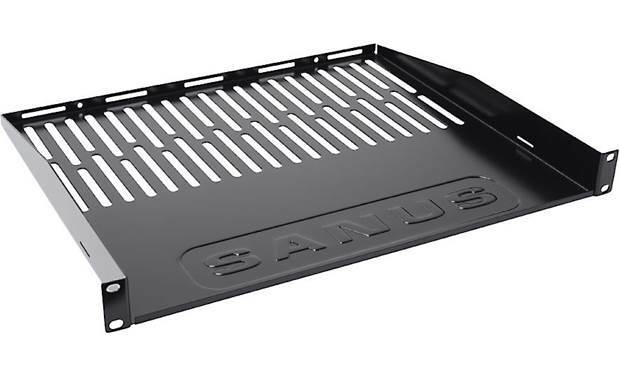 This sturdy shelf fits in your Sanus component rack, and is1-3/4" high. The metal shelf is coated with a durable powder-coated finish that resists scratches. Ventilation slots in the shelf help keep air moving and your component cool. 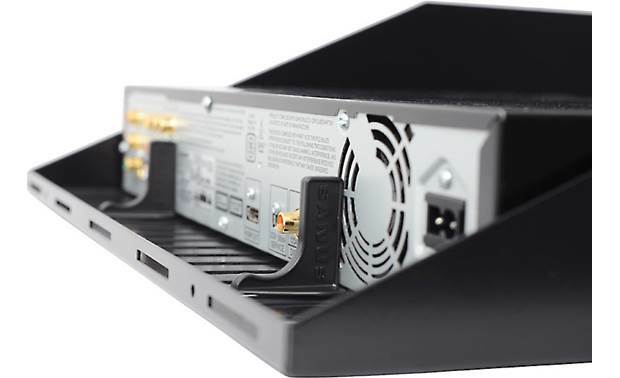 Cable openings in the back provide access points for you to run and secure your wire. 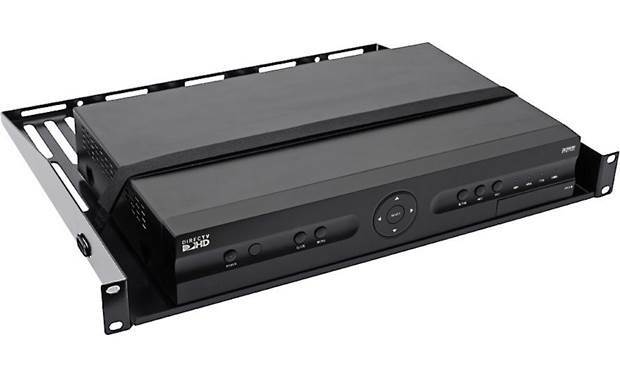 Overview: The CASH21-B1 is a vented rack-mount shelf for your A/V components, designed for the Sanus Foundations Component Series racks. 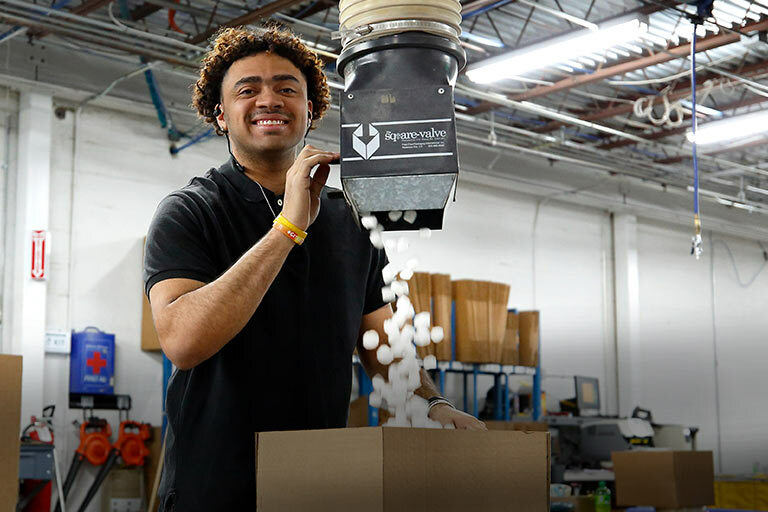 It features solid, one-piece construction and a stylish powder-coated black finish. The shelf fits into a standard 19" equipment rack, and takes up a single rack unit (1U) space. The shelf provides a 17-1/4"-wide x 15"-deep area for your components. 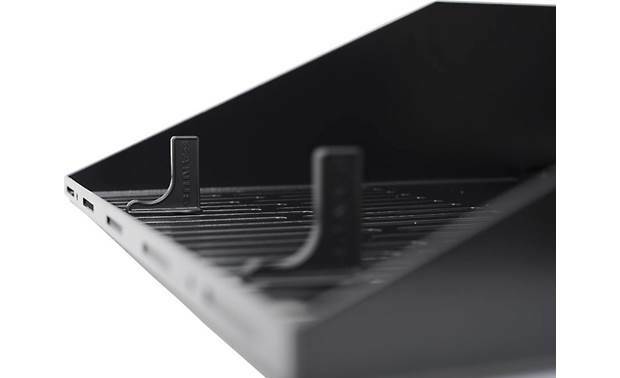 Ventilation: The rear half of the rack shelf has twenty 1/4"-wide vents to keep your components operating at the optimal temperature. 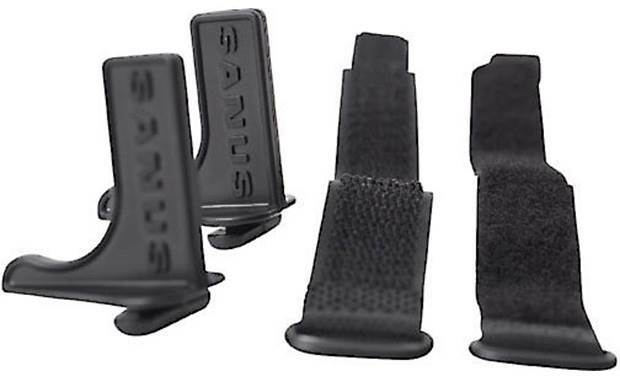 There are two styles of shelves provided by Sanus. I'd like the smaller front height like the one (of three) shelves which comes with the previously purchased rack. Two if available, one if the only available in the space-taking 'receiver style' shelf. As you know, all components are not as tall as the Denon flagship. ? How's that? Hi Amy, I have a 30 lb. receiver on my shelf and the shelf is solid, sturdy and so far has not bent. These shelves are very durable and good quality. My advice to you is if you have a large/heavy component, buy the two-component shelf and leave everything else to the one-component shelf. I would and am buying two more of these shelves. There are three weight capacities. Single unit shelf mounting height 30lbs Double unit shelf mounting height 50lbs Triple unit shelf mounting height 80lbs These specs can be found in the Sanus manufacturers description of the cabinets they come in. I just purchased the self and rack system back in May and can't be happier. Each self can hold roughly 30lbs. I believe the whole unit (5 shelves in my case) can hold 250lbs. It is really easy to assemble, has high quality parts and really looks like a pro set up. I hope this helps! Searches related to the Sanus CASH21 Vented, rack-mounted shelf for single component.